This toothpaste offers protection from tooth decay, giving naturally white teeth and mint-fresh breath in one product. 75ml tube. Biological tooth-whitening, refreshingly minty taste. Suitable for vegans. The special lavera recipe with sea salt cleans the teeth intensively yet carefully. Plaque and tartar are removed while retaining the natural dentine. Refreshing minty aromas give an extra fresh taste. Plant extracts from echinacea and arnica protect the gums and oral flora. When used regularly mint toothpaste helps to restore natural whiteness of your teeth. 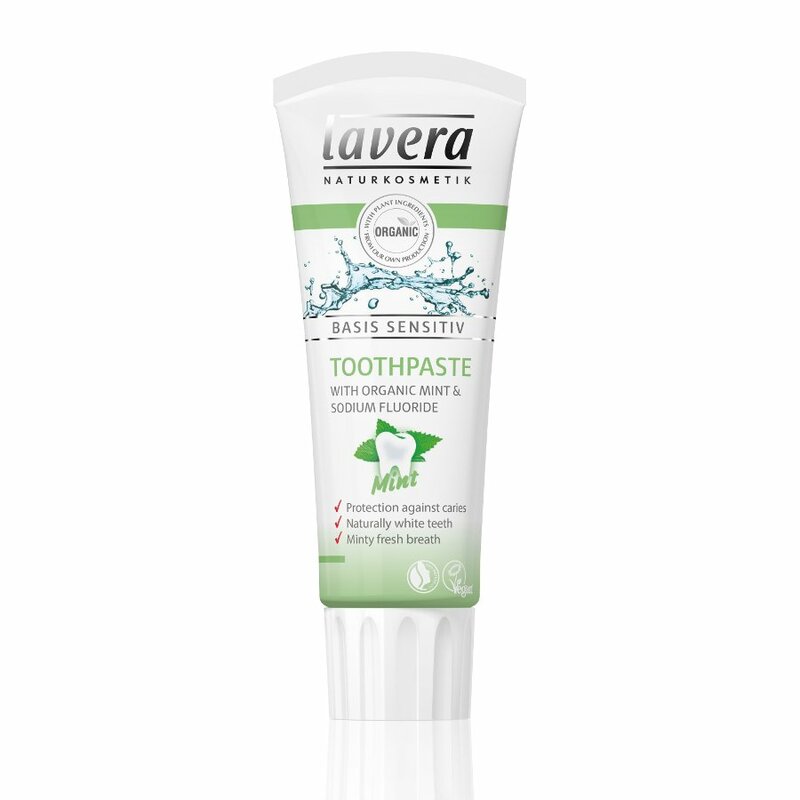 There are currently no questions to display about Lavera Mint Toothpaste.